Over the course of his forty-year career, Thurgood Marshall brought down the separate-but-equal doctrine, integrated schools, and not only fought for human rights and human dignity but also made them impossible to deny in the courts and in the streets. In this galvanizing biography, award-winning author Wil Haygood uses the framework of the dramatic, contentious five-day Senate hearing to confirm Marshall as the first African-American Supreme Court justice, to weave a provocative and moving look at Marshall’s life as well as at the politicians, lawyers, activists, and others who shaped—or desperately tried to stop—the civil rights movement. 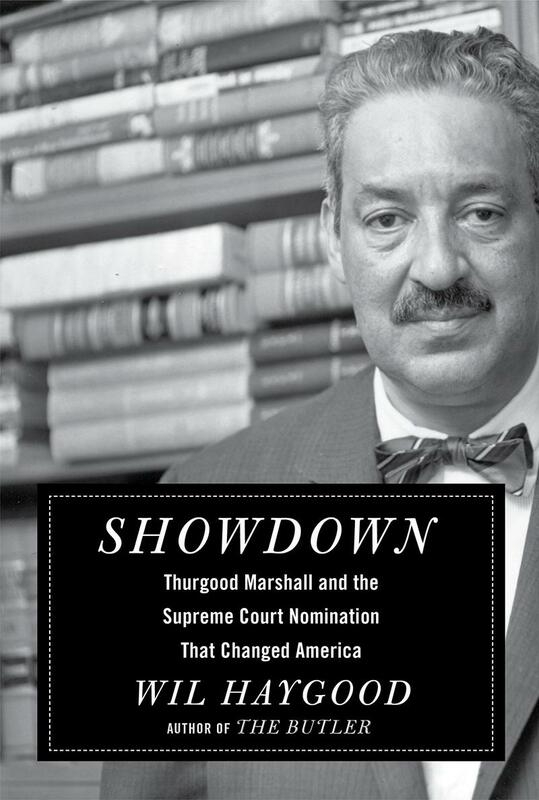 An authoritative account of one of the most transformative justices of the twentieth century, Showdown makes clear that it is impossible to overestimate Thurgood Marshall’s lasting influence on the racial politics of our nation. Book jacket image and book description courtesy Penguin Random House. Used with permission. Toolkit to come.